There are dogs and then there are jet-setting dogs. Bark Fifth Avenue is one of the purveyors of all things high-end pooch. They have a line of fashionable accessories dedicated to jet-setting Chihuahuas, decorated with silk bows, lace, frills and rhinestones. 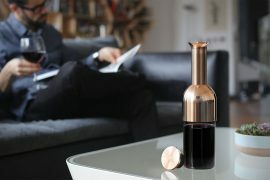 Line includes ultra-comfortable car seats, fashionable dog totes, sleeping beds and drink bowls. Did I mention silk dog passport covers? Angel Limousine Car Seat – $273 Your dog get to ride comfortably with you on a jet or a car sitting on this plush car seat. Dogs Of Glamour Glam Tote – $229.95 Faux leather and rhinestone studded The Glam Tote even makes you look good toting it around. 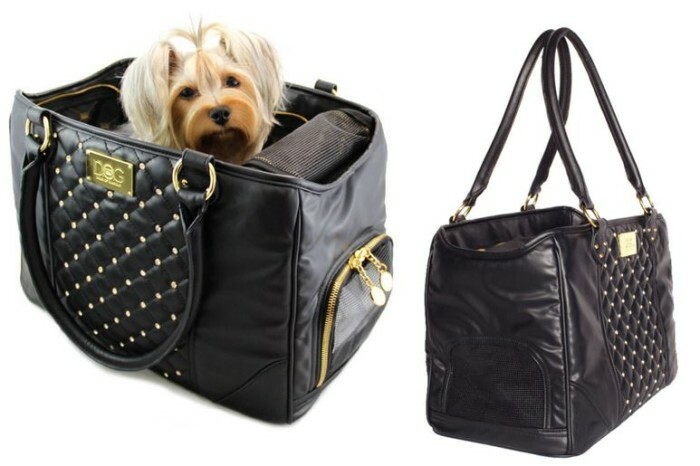 Comfortable for your pooch, tote features quilted front, and lining, as wells as top and side ventilation. 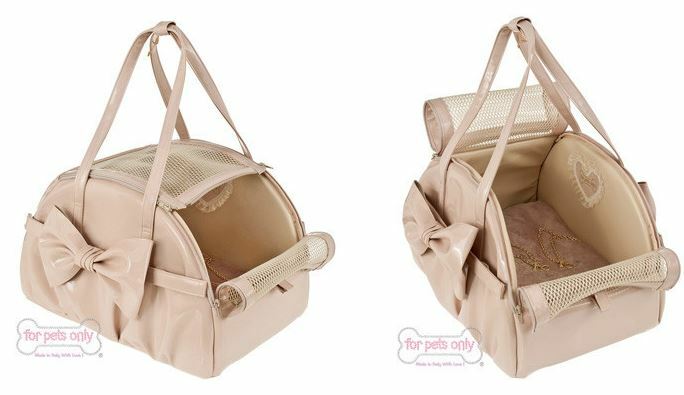 Aria Bag – $330 Plenty of ventilation and comfort. Decorated with a large front bow and a heart inside. 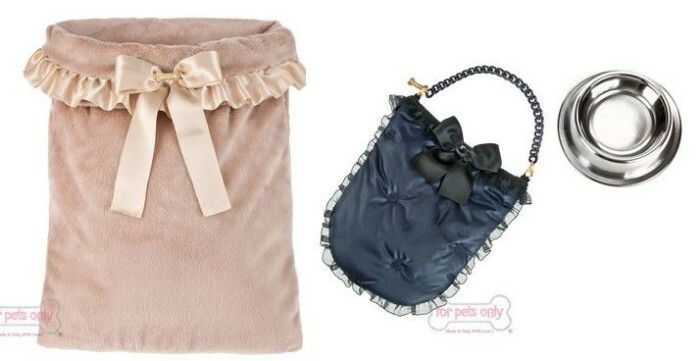 Few other items for your jet-setting fashionable dog that you can’t miss. A plush mini-sleep bed for those long flights. A dog bowl for mess free inflight meals and finally a dog passport cover to carry all the necessary documents in style in black lace with gold bone decoration(on right, top photo).